Communities like Biltmore Lake in the Henderson area offer retirees a fabulous lifestyle. Known as the friendliest small town in Western North Carolina by locals, the Hendersonville area offers many of the qualities and amenities that Baby Boomers seek. Consisting of towns like Flat Rock, Fletcher, Laurel Park, and Mills River, the Hendersonville area is regarded as an ideal retirement destination because of its tranquil setting, mountain views, outdoor recreation, and rich culture. There are also great age-targeted and age-restricted communities in the area that draw in active adults who want to experience outdoor living as well as a vibrant and social lifestyle. Check out our list of 5 reasons to retire in the Hendersonville area. Retirees love the local arts and culture scene found throughout the Hendersonville area. The Flat Rock Playhouse is the designated state theater of North Carolina that features live performances, Broadway musicals, concerts, and plays as well as workshops and educational youth programs. Blue Ridge Community College offers musical and theatrical performances, comedy shows, and concerts all year long. The Brevard Music Center, nestled in the foothills of the Blue Ridge Mountains, is also a great entertainment venue that provides summer music festivals and hosts a variety of top-notch performances. Music lovers will also enjoy hearing the seven-piece Hendersonville Symphony Orchestra that performs at the Blue Ridge Concert Hall and at local festivals. For a dose of history, Baby Boomers can tour the homes of American writers like Carl Sandburg and Thomas Wolfe to see how they lived while writing their masterpieces. They can learn about the history of the first settlers and Cherokee natives that lived in Henderson County at the Henderson County Heritage Museum. Art galleries and museums are also readily available in the area such as the Asheville Art Museum that features a permanent collection of 20th century American art. Other art galleries include Blue Spiral 1 that features contemporary fine art and crafts by local artists and the Folk Art Center, which is home of the Southern Highland Craft Guild. 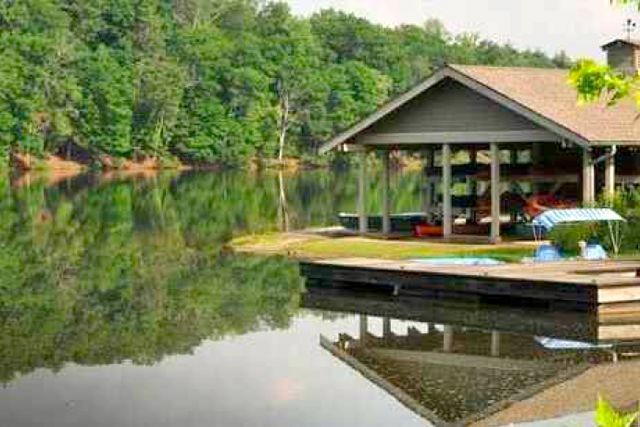 The variety of outdoor recreation and popular attractions continue to draw in Baby Boomers to the Hendersonville area. Located in the heart of the Blue Ridge Mountains, retirees can visit more than 250 waterfalls throughout Transylvania County. DuPont State Recreational Forest is the perfect place for hiking, biking, and walking along picturesque trails while gazing at beautiful waterfalls. Asheville’s North Carolina National Forests also provide more parks and natural open spaces for camping, fishing, swimming, hiking, or biking. Retirees can step back in time with a nostalgic train ride on the Great Smoky Mountains Railroad to view majestic landscapes year-round. Tour the beautiful Biltmore Estate, which consists of a 250-room chateau and scenic gardens that were built by George Vanderbilt more than a century ago. Another popular attraction is the Sierra Nevada Brewing Company, one of America’s first craft breweries. Historic Downtown Hendersonville also provides a charming small-town vibe with farmers markets, antique shops, gardens, local dining, parades, and seasonal events like the North Carolina Apple Festival that attracts a crowd every year. Don’t forget to pack your clubs! There are plenty of golf courses in the area for players of all skill levels. Boomers can find private or public golf courses such as Etowah Valley Country Club and Golf Resort, Great Smoky Mountain Golf Trails, or Omni Resorts The Grove Park Inn. Legendary designers like Donald Ross and Edmund Ault created some of these beautiful golf courses. Active adults flock to this part of Western North Carolina for its affordable homes and low cost of living. Hendersonville’s cost of living is 4.7% lower than the U.S. average and home prices typically start in the mid $100s. Retirees can find reasonably priced homes in age-targeted communities like Cummings Cove that feature a variety of home designs, world-class amenities, and an active and social lifestyle. Baby Boomers enjoy the area’s mild, four-season climate thanks to Hendersonville’s valley, which is part of the eastern thermal belt. With an elevation of 2,200 feet, this area is much cooler than the rest of North Carolina. Average winter temperatures are in the low 40s between December to February and summer temperatures are in the low 70s between May to September. Winters aren’t too harsh here either because snowfall typically melts away due to the warm sunshine. Great healthcare is always a top priority for retirees and luckily the Hendersonville area has plenty from which to choose. Pardee Memorial Hospital was regionally ranked in the state of North Carolina and highly rated in heart failure, hip replacement, and knee replacement procedures. Park Ridge Health specializes in geriatrics, orthopedics, and neurology and neurosurgery. Mission Hospital in Asheville was rated as a high performing hospital in five adult specialties. With so many healthcare facilities nearby, Baby Boomers won’t have to worry about finding medical care for their needs.